The landscape of world language education and of our schools is rapidly changing, presenting new challenges as well as reasons to celebrate. As I followed my own winding path across this landscape – through forests and open fields, over hills and mountains, and even into valleys and caverns – I unexpectedly found myself in an ocean. There I was, surfing on the wave of educational innovation, when suddenly I realized I didn’t know how to surf. So many new ideas, deep and complex, swirled in and around me. Just as I thought I would lose my balance and drown, I got lucky. About three years ago, realizing the need to support teachers, so they, in turn, can support students in developing 21st century skills, my district created a new Instructional Coach position at our school. Though there are many models for coaching, the district administrators who designed the position chose to embrace in their model the seven principles of effective instructional coaching (equity, choice, voice, dialogue, reflection, praxis, and reciprocity), as identified by researcher and author Jim Knight. I have found there is considerable overlap between mentoring and coaching in this way. While it is still fresh in my mind, I would like to share with you my most recent mentoring experience, working with my coach Lois Calloway. I admit I was not completely on board at first. Skeptical, I wondered if this was something designed for teachers in trouble, some kind of trick to weed them out. Additionally, I wondered how Lois could understand the complexity of teaching and learning World Languages when she has had no experience in our field. I was very wrong: Lois has been one of the most impactful guides on my journey. Working with our coach is voluntary so, after some reflection, I warmed up to the idea and decided to meet with her. As we began to build trust, an essential ingredient for successful mentoring/coaching, I explained and clarified the goals and elements of world language education. Because Lois was not in my field, I learned how to better articulate these goals. It strengthened my confidence in being able to explain them clearly to a variety of stakeholders. With Lois’s help, I gained a little more ability to balance on my surfboard. To help me work through new ideas for reaching my students, Lois would ask me questions like, “What’s on your mind today?” or “What is going well?” These simple questions would magically open the flood gates, causing thoughts to flow so fast I could hardly keep up. How could we capture all of them? The process that worked for us included a few guided questions, with me responding while Lois listened and encapsulated my thoughts in writing. Her careful listening also led her to ask clarification questions that stimulated deeper reflection on my part. After each session, I could refer to my thoughts and ideas in shorthand and therefore use them in practical ways. As I reviewed them, important threads or lines of thought regularly revealed themselves to me. Lois’s knowledge of curriculum design, and my knowledge of world language methods and instruction, as well as the goals I had set, are a combination necessary to move forward with stability as I surf the wave. Sometimes, my balance on the surfboard is thrown off. As the wave is influenced by the weather, I am influenced by the emotional pieces that come with the demands and human side of the teaching profession. This is okay. It reminds me that I must work through the vulnerability and pushback that may come with trying something new, or when things get tough. 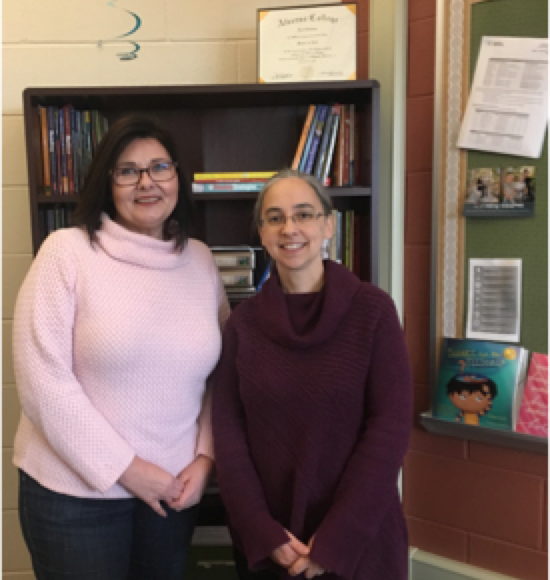 Meeting regularly with Lois has been a key to keeping my balance, so that I can grow as an educator, and in turn, impact my students’ world language journey. Learning is lifelong, not only because of the sheer amount there is to learn, but also because our lives, teaching environments, and students change over time. No individual holds all the answers. However, we can find strength in working together: listening, learning, and sharing. Just as an early start and a long sequence in world language learning guide students on a path to greater proficiency, the same, when applied to taking regular advantage of mentoring (or coaching), can guide new and veteran educators on a path to improved teaching with greater student impact. Knight, Jim. 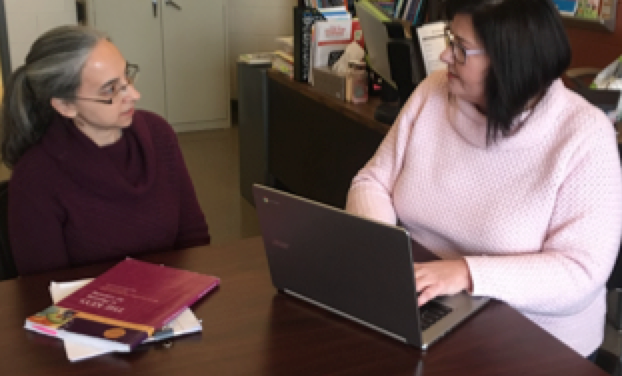 Instructional coaching: A partnership approach to improving instruction. Corwin Press, 2007. If you are interested in finding or being a mentor, please visit WAFLT’s mentoring page. All mentoring participants will receive a “Great Thought A Day” notepad!